After Wankelmut definitely had a say in summer 2017 with »I Keep Calling«, his collabo with Mando Diao’s Björn Dixgard and »Almost Mine« with Charlotte OC as well as recently turning heads with the single »Work of Art« featuring Alexander Tidebrink, the DJ and producer hailing from Berlin now ups the ante via Four Music. 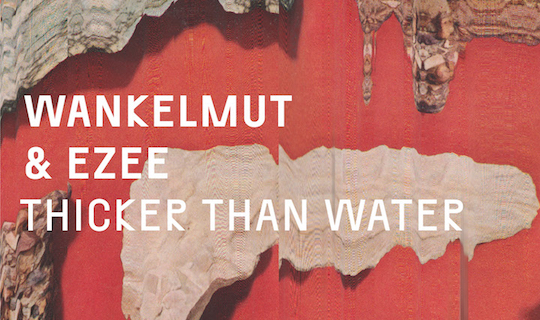 With his new single »Thicker than Water«, Wankelmut seamlessly builds on his great worldwide successes such as »One Day« or »My Head is a Jungle«: future R&B meets electronica, danceable beats meet smooth synths, hard rhythms meet energy-laden brass sounds – creating a danceable hymn to sticking together with a poignantly catchy hook. The top tune’s vocals come from EZEE, who has worked with artists including Feder and Nicolas Haelg. The new hit single was written by Jacob Dilßner, Wankelmut’s real name, and the two international top composers Ilsey Juber and Moon Willis, who have worked with Drake, Martin Garrix, Chris Brown and Rudimental in the past. With »Thicker than Water«, Wankelmut and Berlin producer Fynn manage to turn over the next leaf of Wankelmut’s longstanding and successful legacy as a producer and DJ.